Caddo Lake State Park sits west of the lake, along Cypress Bayou. 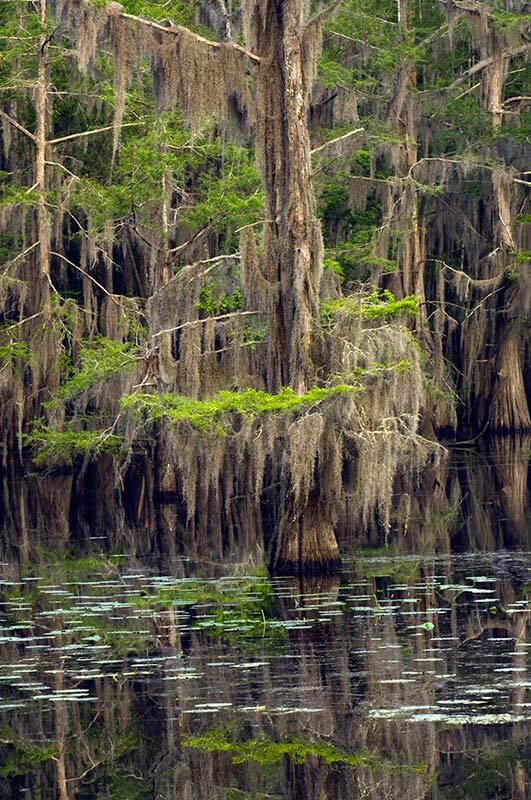 Caddo Lake is a maze of slow-moving bayous, wetlands and backwaters. It covers about 26,810 acres of cypress swamp, depending on rainfall. Although a natural logjam created Caddo Lake, today dams and reservoirs keep its waters under human control. The lake’s average depth is 8 to 10 feet, while the deep water in the bayou averages about 20 feet. Caddo Lake is one of the world’s natural treasures. Its diverse habitats make it a suitable home for a wide variety of plants and animals. These habitats also make the park an important resource for education, science and recreation. The upland forest of pine, oak and hickory produced many of the native materials used in the original construction of the park. The trees in the bottomland hardwood forest stand tall beside the bald cypress and water tupelo swamps, where the stately trees flourish in the quiet backwaters of the lake. In the freshwater marsh, grasses and reeds provide shelter for turtles and a variety of fish, birds, toads and snakes. An angler's delight, the lake con­tains 71 species of fish. 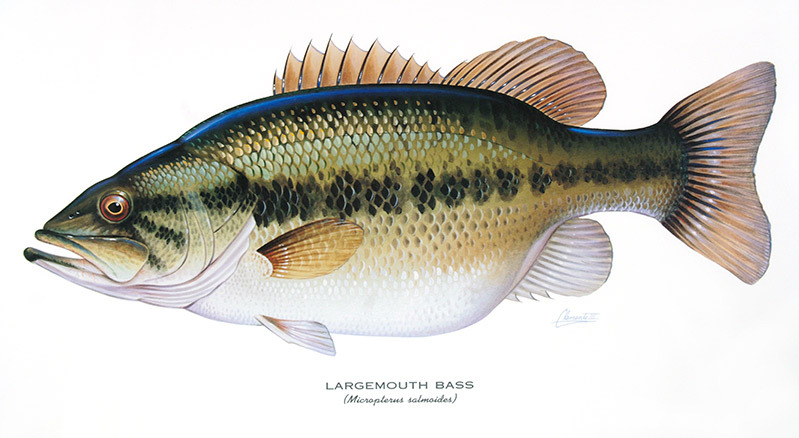 Fishing is es­pe­cial­ly good for largemouth and white bass, and crappie. Nature lovers will enjoy cypress trees, American lotus and lily pads. Wildlife includes waterfowl, alligators, turtles, frogs, snakes, raccoons, minks, nutria, beavers, squirrels, armadillos and white-tailed deer. Caddo Lake was designated a “Wetland of International Importance, es­pe­cial­ly as waterfowl habitat,” under the Ramsar Convention in 1993. This international treaty seeks to limit the loss of wetlands throughout the world.